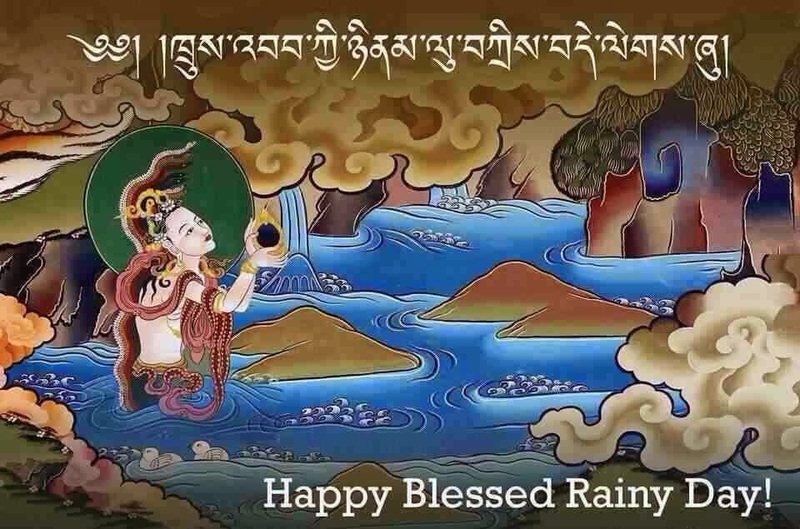 Blessed rainy day, locally known as Thrue-Bab, is an indigenous Bhutanese festival, celebrated in no other place in the world. It is believed that on the day of Thrue-Bab, the rain is sanctified by the cosmic Buddha Mahāvairocana. Taking a cleansing bath from the divine rainwater collected overnight is therefore thought to purify all defilement and bad karma of a person. The festival, marking the end of farming season and start of harvest season is also called the gateway to other festivals in the Bhutanese calendar. On the eve of Thrue-Bab, buckets are kept on rooftops to collect the sacred rainwater which is later on used by the whole family to bathe. Other attractions such as camp fire and delicacies such as suja and thukpa are enjoyed by the families to honor the final rains. Miles away from their homes, our students celebrated the ‘Blessed Rainy Day’ at Jagran Lakecity University. The event was highlighted with an authentic Bhutanese platter, prepared by the students, courtesy of the University’s mess. It was a great opportunity for the students of JLU Bhopal to witness one of the national festivals of Bhutan while also tasting their colorful cuisine The main ingredient of which is Emaa Kamm (dry chilli). Other delicacies on menu included; Emadatsee (national dish of Bhutan), Kewaa Datsee (potatoes with cheese), and Thupp (porridge). Having students from different cultural backgrounds as classmates is always a learning experience that makes one grow intellectually. Jagran Lakecity University is a home to an amazing ethnic diversity, where culture forms a bridge rather than a barrier between students. Our students learn values of life that travel beyond boundaries and help them build a character that is appreciated worldwide.